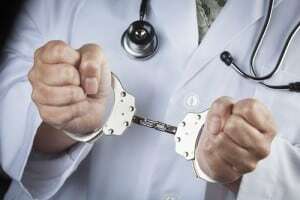 On Monday, December 22nd, a clinic owner whose business was based in Norcross, Georgia, was sentenced to federal prison for three years for healthcare fraud. Shinkweon Park, 43, a resident of Suwanee, was convicted in January for submitting false claims to Medicare and Blue Cross Blue Shield. Reportedly, the healthcare fraud charges stemmed from billings for acupuncture, physical therapy, and doctors visits starting in April 2010. Acupuncture treatments are not reimbursable through Medicare, and the clinic performed other services that, legally, should have been performed by licensed healthcare professionals; however, employees at the clinic were not licensed to perform physical therapy or general medicine. In addition, the clinic billed for doctors visits that never occurred. The clinic submitted not only $1.6 million in fraudulent claims to the federal government, but also submitted $475,000 in fraudulent claims to Blue Cross Blue Shield. Park will be required to repay $1.2 million for the healthcare fraud, and will spend 2 years in prison, plus 3 years of supervised release. The Georgia healthcare provider attorney at the Strom Law Firm has the experience necessary to represent health care providers in criminal, administrative, and civil matters related to their profession, including accusations of healthcare fraud, as well as professional license defense. In 2002, Strom Law Firm, LLC, along with a consortium of attorneys around the country, represented several physicians who sued a number of the Blue Cross entities nationwide. The doctors alleged that the Blue Cross entities improperly bundled and downcoded doctors’ claims for reimbursement. As a result of that action, a settlement was reached that changed the reimbursement practices of the Blue Cross companies who settled the action. Strom Law Firm represents health care providers in state and federal criminal actions. When the government charges a health care provider with a crime, there is more at stake than a person’s freedom, criminal proceedings can affect the provider’s career and livelihood even when the criminal proceedings only involve probation or even if the provider is acquitted in a court of law. When a health care provider is charged with a crime, it is imperative to retain an attorney who understands the collateral consequences, including licensing issues, disciplinary issues, and the ability to participate in governmental programs.